There is so much growth and development happening in downtown Detroit that this month alone, the month of Christmas three hotels opened, Shinola Hotel, The Cochrane House, The Element and The Siren all welcomed sold-out crowds of potential patrons that have made Detroit the #2 travel destination in the world, so says Lonely Planet’s annual list of best travel destinations in 2018. The international list ranking gave Detroit the second spot in the “Top 10 Cities” list, behind Seville, Spain. It stands to reason the over $500 million dollars in development just in the 10-mile downtown radius. The main vain of Detroit, Woodward Avenue, has so much development and talent retention that every inch from the waterfront at Hart Plaza down to the campus of Wayne State University is filled with restaurants, hotels, residential properties, entertainment, art galleries, and most importantly retail. Nike opened a Community store that lends itself to millions of dollars in community initiatives and campaigns promised to athletes in the Detroit and surrounding areas. Then there’s Under Armour and of course, Detroit’s own Shinola, makers of classic watches and bikes and so many other expansive luxury wares. You must see Detroit from different eyes, especially in the dead of winter when a new year yearns for new beginnings. If you do visit the “D” this January, here are places to stay, eat and play. 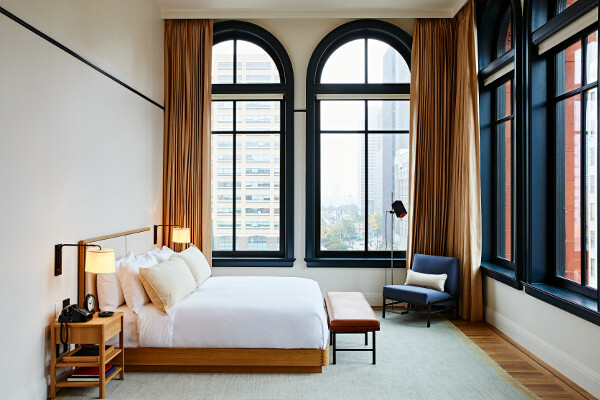 In partnership with Bedrock Detroit, the Shinola Hotel is opened and taking reservations for its eight floors and one hundred and thirty room hotel nestled in the hub of all that’s new and inventive in Downtown Detroit. 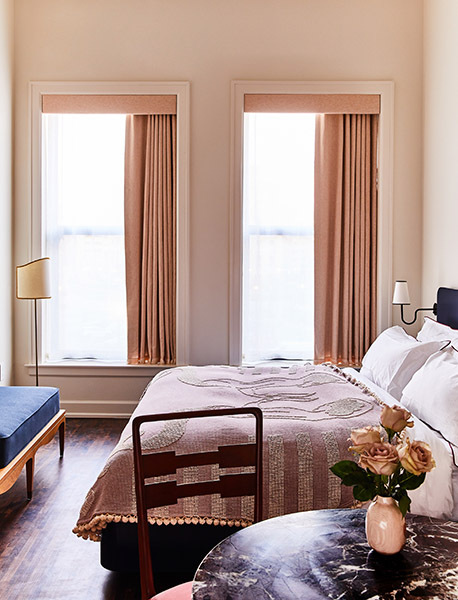 Encased in several themes, catering to several different palettes of its dwellers, The Shinola Hotel at $435 p/night is for the adventurer indeed. With velvet sofas, deep rectangular tubs and Shinola blue foyers, the vibe is classic with elegant craftsmanship. See for yourself. Click here for more on the Shinola Hotel! The name Siren refers to the sirens of Greek mythology whose song would entrance passing seaman and lure them onto the rocks. In the case of The Siren Hotel, it is luring you the Detroit of the 106 room and seven food and beverage vendors including an in-house coffee roaster, a barber shop, florist, and karaoke bar decorated in a fun pink cocktail bar, the candy bar and a rad rooftop with panoramic views of downtown Detroit. The hotel’s rooms range from stylish studios to a lofted, duplex Penthouse, complete with a living room and dining room. The Siren Hotel at $119 p/night will get you entranced. Click here for more on the Siren Hotel! There’s nothing like waking up from the softest bed and pillows’ night sleep to the sweet smell of bacon wafting through the air lulling you up from your slumber. It’s Christmas morning and we’re at the Cochrane House, Detroit’s newest independently-owned luxury bed and breakfast co-founded by Detroit-native siblings, Francina, and Roderica James. 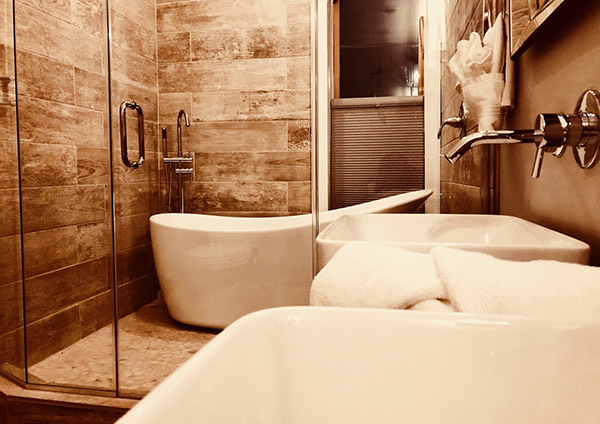 A small staff of two diligent and warm staff members make you feel as royal as the Obamas with all of the relaxing amenities at your fingertips including homemade chocolate chip cookies and contagious comforters. San Morello, a luxury Italian restaurant catering to Detroit’s influencers. The opening evening played host to a crowd of entrepreneurs, journalists, photographers, and inquisitive patrons. Serving southern Italian cuisine led by Chef Cory Barberio, from New York and nestled at the bottom floor of the new Shinola Hotel opened to guests Dec. 2018. A Detroit classic since 1917 when Grace’s grandfather Constantine “Gust” Keros came to Detroit from Greece looking for an opportunity to support his growing family. 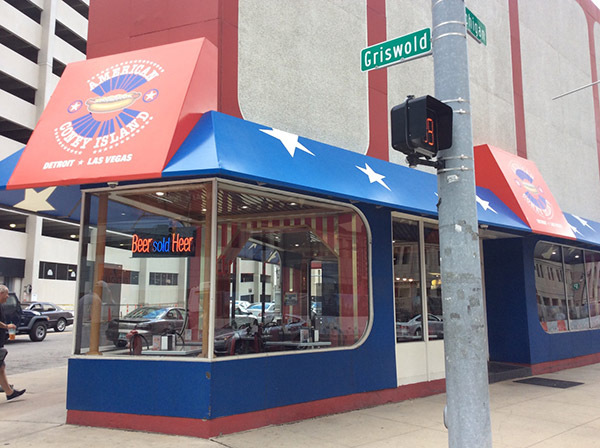 Over hundred years later, American Coney Island is being ran by the third generation of landowners and hot dog and chili cheese fries’ connoisseurs of the Midwest. As authentic Detroit as Faygo and Lays potato chips. Maru is the new poppin lunch spot that sells the tastiest sushi made by the most diverse group of chefs in the city. Over the last two years, Maru has made a great effort to keep this sushi bar far from a normal sushi bar with the priority being on fresh fish, produce, from-scratch sauces and lots of loving smiles into everything they do. 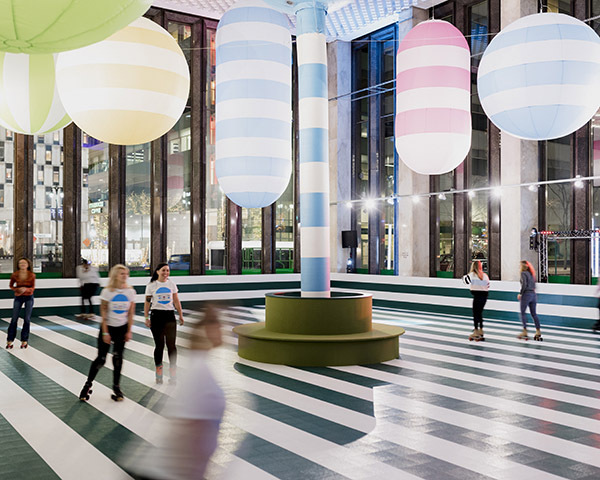 A free-of-charge roller rink has opened on the first floor of the 1001 Woodward in downtown Detroit until January 27. The Rainbow City Roller Rink is produced by Detroit-based Library Street Collective and sponsored by Bedrock and the Quicken Loans Community Fun is an inflatable wonderland-turned-roller skating rink designed by acclaimed artist duo Samuel Borkson and Arturo Sandoval III, bringing a colorful and whimsical experience. The Roller Rink has a vibrant collection of weightless sculptures suspended from the ceiling encouraging activity and exploration for the whole family. Rainbow City Roller Rink will be open to the public Wednesdays through Sundays, 2-9 p.m. Admittance is free and be permitted on a first-come-first-served basis. For more information, visit the official website today!